Can I use a decaf tea? Caffeine gives me migraines? BTW I love your FB page!!! I have read that there is less caffeine in the finished kombucha than the original tea, but the verdict is out on whether this is true. I’ve also read that the caffeine is necessary for continued successful brewing, though you may be able to get a weaker batch or two without the caffeine. Sorry I can’t be more help or give you definitive answers! All I can say is give it a try. 🙂 Thanks for stopping by and for your kind words! 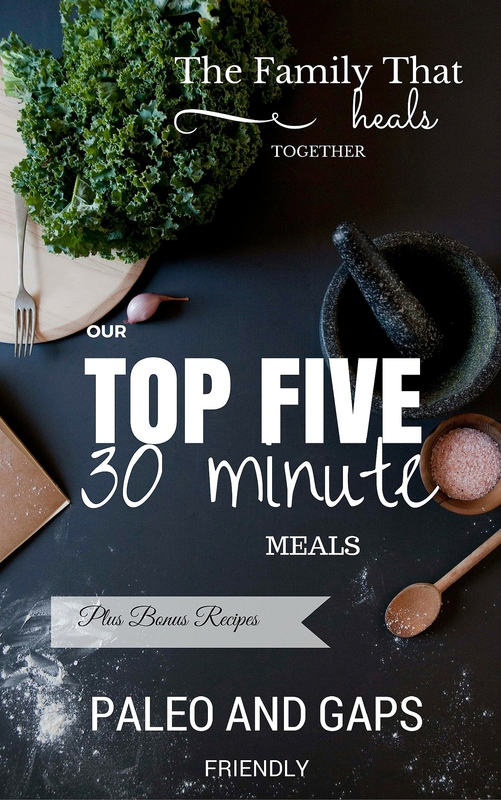 Okay so I am a need to know exact measurements as I am not one to stray from a recipe. Could you please tell me am I suppose to steep the tea in the plain kombucha or how much water and what kind of water am I suppose to use? Is it a quart of what? Can I use green tea that is organic? Hi Jo-Anne. By brewing a cup of tea, I mean adding a cup of hot water over a tea bag. Filtered water is best. Green tea may be used, but may not give as consistent results as black tea. When I wrote this , there was no direction section. Now there is. Not sure why this happened. Thank you for your quick response. No problem, JoAnne. The directions have been there all along, but I did update them to further explain how to brew the tea. Sorry for any confusion! Would it work to use an herbal tea or must it be black tea?? Thanks for this great article!! Linda, as far as I know, caffeinated tea is the best option for continuous, successful brewing, though I’ve read that other types of tea can work. Hi, love the site is very interesting. I am try to grow a scoby but after 4 days the only difference is that there are some Cloudier areas but no skin. My kitchen may be a tad cold as it’s winter bu still think it’s warm enough for something to happen. Is it normal that sometimes may tak so long? It sounds like it’s just beginning, Jono. Just be patient and it should form a scoby! once you get the scoby then what ? 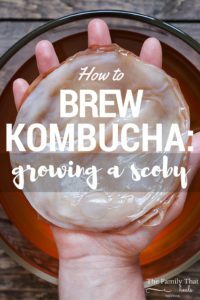 do you use it in your tea or is the scoby just to get the benefits of the tea? Hi Helen. 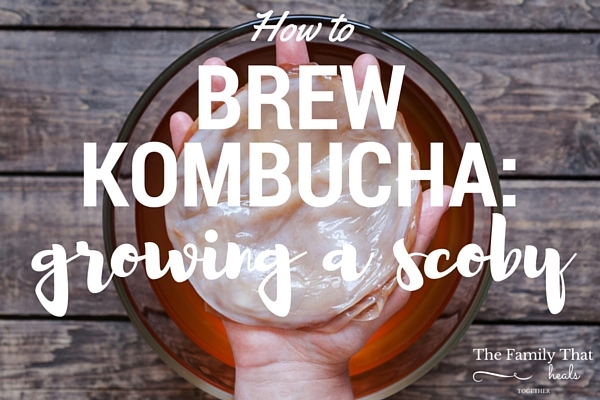 You then use the scoby to make kombucha tea. I can’t handle caffeine either, tea and coffee are decaf, even my Cokes are decaf. I have no problem with sugar. I’ve got a store-bought kombucha, but no caffeinated tea, but even decaf tea has some caffeine in it. Am going to try what I’ve got, will just brew my tea stronger. I want to thank you for this post. Finally one that makes sense and is in plain English without a lot of nonsense. I’m not confused anymore. Does the brand one uses to get the SCOBY started make a difference in the kombucha brewed with that SCOBY. I ask because I have tried several brands of kombucha and haves a hands down favorite. And-what do you mean by plain? It seems all the bottles of the brand I like are flavored in some way–can I use that? I think flavored will actually work, but GTs makes a plain one. I don’t think the brand matters.